How safe is blockchain really? Is the blockchain mature enough for enterprises to be used as part of their main infra structure? During the four-day CCC congress, this question has been answered by the speakers. Raise your hand if you believe information, stored on the blockchain, is ultra-safe and can’t be manipulated. If you indeed think this is true, you are not alone. Most people believe that the blockchain can’t be hacked because the cryptography used within the blockchain is safe and difficult, if not impossible, to hack. Although this is true, there are a lot more components related or connected to the blockchain, that can be hacked. For instant, the digital wallets (hard- and software) to store your cryptocurrencies, but also the computers themselves on which the blockchain is stored. This and much more became clear at the CCC congress. I’ll share my experiences in this blog. 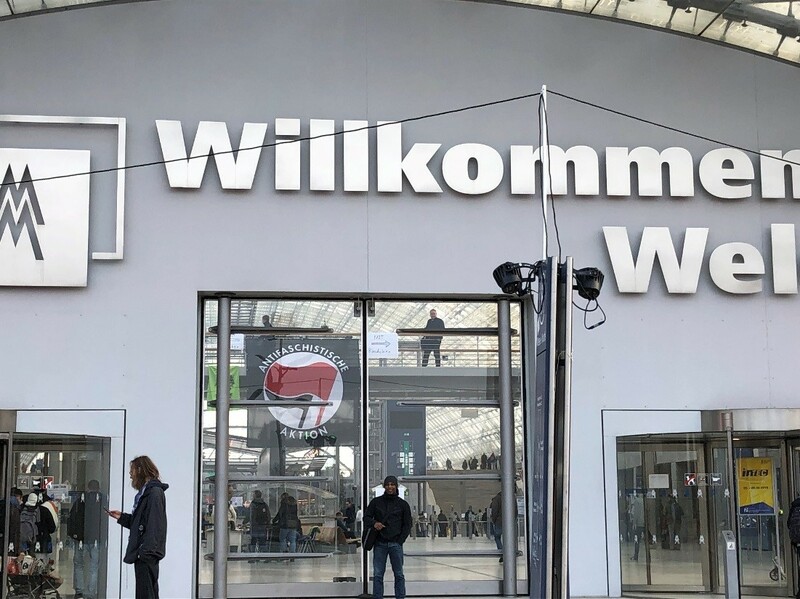 Every year there is a four-day CCC Congress in Leipzig Germany, where the front runners of technology share their experiences and newest ideas. This was my third year visiting and it’s a great way of ending the year and get my inspiration for the coming year. 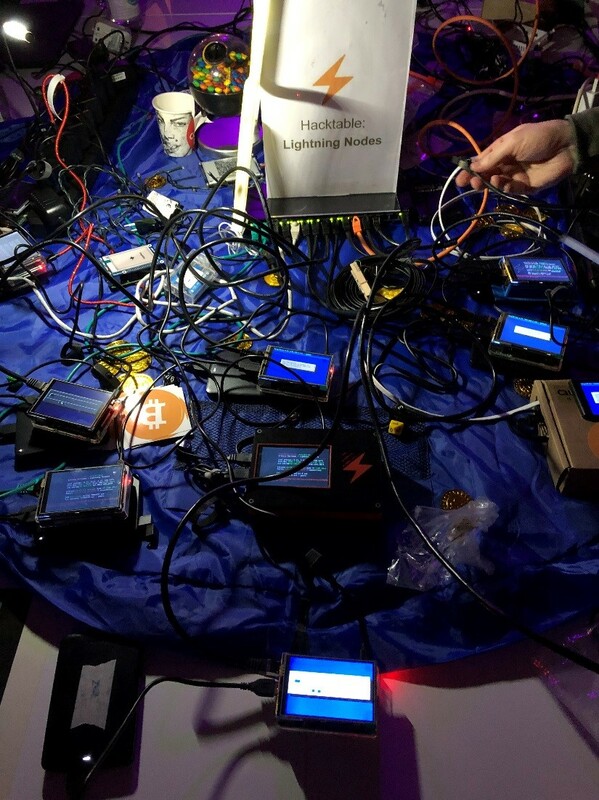 Like every year, there were live talks to show the audience how vulnerable some blockchain components are. But it was not all about hacking stuff. There were also some talks about innovation and technology. We have all seen science fiction movies about Androids (robots), that can reproduce themselves and take over the world. This is already reality in the form of plants. 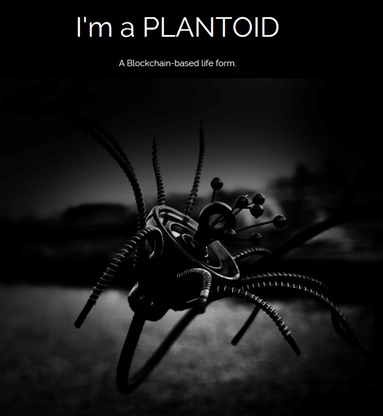 Plantoids are “living” entities on the blockchain. They can make decisions, act and reproduce. Pretty advanced for a digital plant! Do you like to know how this digital plant can reproduce itself? I can imagine new ideas will evolve from this project. Check their company URL. Another digital entity on the blockchain is the Random darknet shopper. This piece of software receives $100 per week to randomly buy product on the darknet and store them in an exposition. See what the bot already bought. For example, a guide on how to hack Coca Cola vending machine. Or 1.8 million e-USA mail addresses (100 USD). Digital wallets and how to store your bitcoins in a save way, was a hot topic this year at the congress. There were two talks about this topic that confirmed to me that most popular cryptocurrency hardware- and software wallets are not 100% safe. I also own digital wallets, so this was for my personal interest as well as professional interest. Yes, digital wallets can be hacked today! Hacker can access your wallet and can send your bitcoins to their account. Now, there is not organization to help you recover any of it, or that can protect you. Like to know how you can prevent this? Check these video’s: Wallet.fail and Wallet Security. Imagine you buy a new computer and suddenly you notice something strange. Someone planted a chip into your device to control it. This could happen to anyone. Trammell Hudson tells his story about mod chips hardware implant where several IT company where involved. This story could be plausible. But can you really prevent this? One of the issues with the blockchain is the number of transactions per second. The more transactions, the the longer it will take to process them. This makes the transaction more expensive. A solution for this is the lightning network. It has instant payment, scalability, low cost and cross-blockchain. But to build a node to participate in this network is not easy, as I experienced during my hands-on assembly of the lighting node, using a RaspberryPi. There are a lot of technical steps involved. But with the proper preparation I had my node running in less than an hour. Check the video here. In order to keep track of the links between nodes, this map will visualize all connections between nodes on the networks all over the world. The lightning map originated from the need to search for nodes and their channels. It is intended for both advanced users and beginners because it is very easy to use. After the assembly, the organizer (Christian Rotzoll), told me about the first cryptobank Bitwala in Germany. This company claims to have all regulations in place to be the first cryptobank in Germany. This could be an example for our traditional banks now. You can open an account with them to trade and store your cryptocurrencies. The last day was spent on 5-minute presentations, also called lighting talks. Explaining how the blockchain works to people with no technical background is difficult, but Alexandra Dirksen AKA Alex, is doing a very good job by explaining how different kinds of blockchains are formed and what kind of properties they may achieve – good as well as the bad ones. For example, transparancy, and cutting the middle men, makes the technology very interesting for business. But the fact that you can’t delete blocks from the chain, makes it difficult for regulations to accept this technology. For a clear understanding about blockchain and the technical terms, watch this video. Blockchain is used for more than only bitcoin trading now a days. “Living” entities are using the blockchain to reproduce. But on the other hand, we have seen that a lot of components related to the blockchain are still very vulnerable, for ordinary users. So, is the blockchain mature enough for enterprises to be used as part of their main infrastructure? I would say, YES. There are still many leaks on the hardware as well as the software side. But most of them can be prevented and are not directly related to the blockchain technology. What’s next? Def-Con Hacking Conference will be starting on 08 Aug and finishing on 11 Aug 2019. DEFCON 2019 will probably be a platform where a lot of crucial topics will be discussed. Some of these are Computer, Information Technology, Blockchain, Cyber Security, Software, Hacking and Hack.